Home Auto Insurance Auto Insurance Coverage What is Umbrella Insurance? 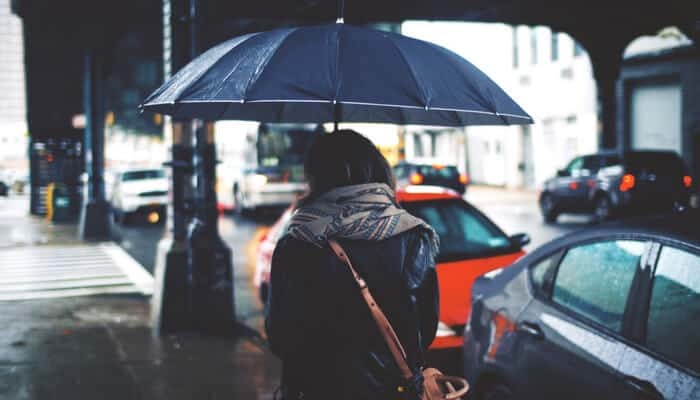 The term “Umbrella Insurance” seems to come up more and more frequently these days and that leaves a lot of people wondering “what is umbrella insurance?” as well as whether or not they need this coverage. Compare.com explains what it is, how this type of insurance works, as well as who benefits the most from it, without getting buried in technical details. In short, we’ve got the layperson’s explanation of umbrella insurance. Umbrella insurance is named this for a reason. It acts like an umbrella, shielding you from a wider range of liability. Specifically, an umbrella insurance policy is purchased as a supplement to liability insurance. This unique insurance protects the owner from having to pay financial damages out of their own pockets when a lawsuit results in a settlement, the cost of which would exceed their liability coverage limits. What does that mean? It means that if you are involved in an accident in which you are at fault, and your liability limits of your auto insurance don’t satisfy the legal settlement, umbrella insurance covers you up to a much larger amount. Let’s walk through an example really quickly. Let’s say your coffee spilled on you as you were driving and caused you to rear-end the car in front of you. Let’s say your bad day didn’t end there. It’s a luxury car and you hit it hard enough to run it off the road and into the store front of your local art gallery where it destroyed roughly highly valuable works of art. The driver was seriously injured and spent two weeks in the hospital and has at least a year of therapy required to recover from their injuries. That’s a really big price tag for an accident. Will your auto insurance cover all of that? Let’s also assume that your liability coverage on your auto insurance is set at 50/100/50 (that’s $50,000 of coverage for bodily injury for each person involved, up to $100,000, and $50,000 for property damage). That won’t be enough to cover the cost of the damage you’ve done or the cost of the second person’s hospital bills. That’s where an umbrella insurance policy would kick in. 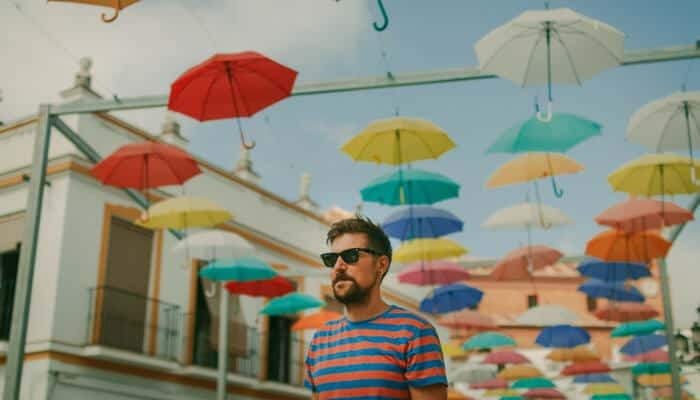 To keep you from having to pay the remainder of the bill out of your own pocket, an umbrella policy would pay out for you – typically up to a much larger sum. So continuing our example, let’s say that you have a $1.5 million umbrella insurance policy and the total cost of damages was $800,000. Your car insurance company would pay out the $100,000 for the other person’s injuries, as well as the $50,000 for the property damage. The remainder you owe would come from the umbrella insurance policy instead of your personal assets such as your home, salary, car, retirement funds, or other items of monetary value. Another way that umbrella insurance policies work is that they fill in for exceptions in coverage. If your car insurance policy states that you are not covered when driving out of state (this is just an example) and you were involved in an accident two states over, then your umbrella policy would cover you when you basic liability could not. Of course, that’s providing that your umbrella insurance doesn’t state the same exception. It’s very important to read the details of your policy for just this reason. Readers should be aware that when this type of insurance is used in this way, there is a fee similar to a deductible that the insured person must pay before the insurer pays out. That fee can range from $250 to $10,000. Truthfully, many of us can avoid needing an umbrella policy if we just raise our liability limits on our insurance. However, if you have a lot of personal assets like we mentioned before, it could be a good idea to cover those assets with one of these policies. Typically, your policy’s coverage should at least match the total value of your personal assets in order to adequately protect them. Umbrella insurance may also be helpful for drivers who may have trouble paying for legal defense costs arising from an incident in which they are at fault. This can be a bit of a catch 22 as many umbrella policies state in their requirements that the person to be insured must carry certain levels of insurance coverage with specified minimum limits, the cost of which might otherwise be put towards a savings account which could likely pay for legal counsel. If you are considering purchasing an umbrella policy, be sure to carefully read the terms and conditions outlined in your policy documents. Take special note of conditions, exceptions, and exclusions as stated in your policy documents to ensure that you are covered in the way you are seeking to be covered. You can learn more about other types of auto insurance coverage in our Coverages section. It’s easy for a lot of folks in auto insurance to forget that most people don’t know what they’re talking about when they refer to liability coverage, or an SR-22. Our Auto Insurance A-Z Guide helps decrypt things, unpacking these concepts into language you and I can understand.